Present your logo with professional flair! This canvas portfolio boasts smooth vinyl accents for a professional appearance. 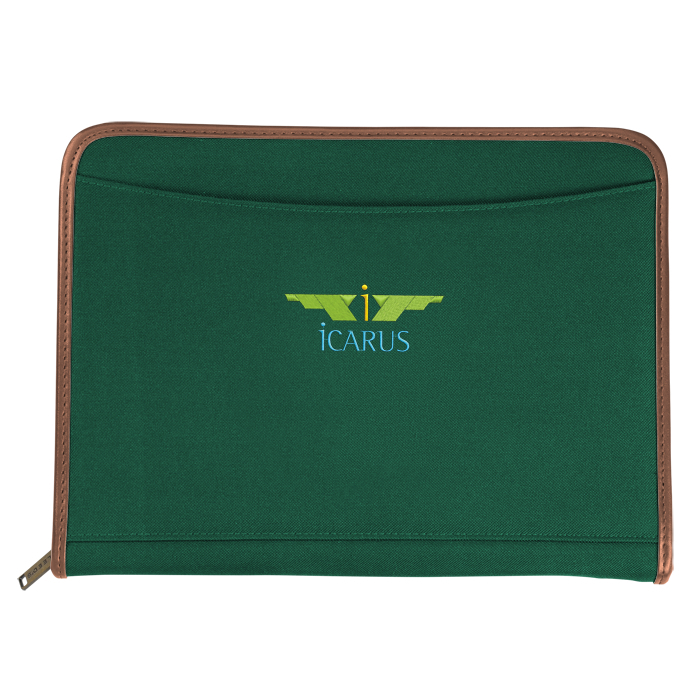 The interior features a deluxe interior organizer with gusseted file pocket, five card pockets, one ID pocket, one small slip pocket, one medium slip pocket and a zippered pocket and a pen loop. Right side includes an 8-1/2" x 11" lined writing pad for jotting product ideas, customer input and presentation notes. Zippered wraparound closure prevents any of your business components from falling out. Embroidery area (centered on front pocket): 3" x 3". Your price includes embroidery on the front pocket of the portfolio.